Align the board on future CEO profiles that are driven by business strategy. Start well in advance of a planned succession by engaging the board in a strategic alignment process to define short- and long-term business priorities. Then link strategic priorities to the experiences, competencies, and personal traits required in the next CEO. Fold all this into a CEO Success Profile to be used as a blueprint for evaluating internal and external CEO candidates. Assess candidates against industry benchmarks, valid indicators of executive potential, and the CEO profiles you’ve developed. Acquire an accurate, unfiltered, multi-dimensional view of candidates’ strengths and weaknesses in a mix that includes quantitative assessments that can evaluate not only relevant competencies and experiences but beneath-the-surface personal traits and drivers that will align with success. Think 2-to-3 CEO moves ahead; don’t just seek to replace the incumbent. CEO succession is an ongoing process designed to develop the talent pipeline — not an isolated event. Companies should develop a dual focus that includes both preparing capable near-and mid-term leaders and identifying those deeper down in the organization who possess future leadership potential. “Cross train” generations of CEO successors with a mix of on-the-job training, intensive coaching, mentoring, and education. 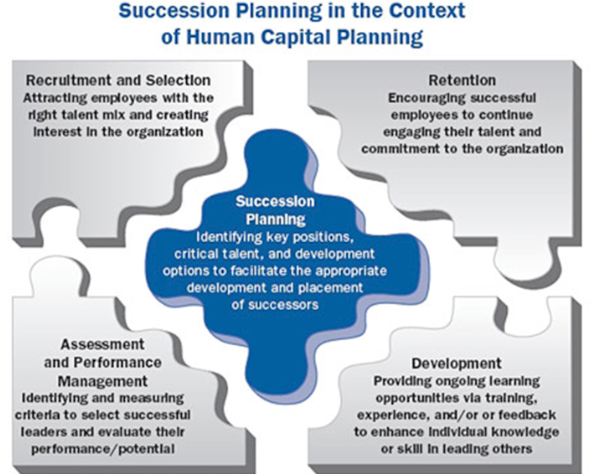 Once you’ve gone deeper to find not merely a replacement CEO, but generations of successors with the potential to serve as future CEOs, help that potential blossom with individually tailored development plans geared to both individuals’ needs and what the organization will require in a future leader. As potential successors become real contenders for the role, the focus should be on identifying areas to accelerate growth and close critical gaps. Become intimately familiar with the bench and their potential. There should be 7 potential CEOs in your company across several generations. Do you know who they are? In addition to enabling future CEOs to develop their potential, these individuals should gain regular exposure to the board in both formal and informal settings so directors can continue to assess their potential as possible future CEOs. Once an individual is in the running for CEO, the board will need to know more: What is this person like under pressure? How does this impact his or her leadership? Does he or she possess the agility and courage required to make difficult choices? Insight into leadership traits and motivations of a leader are as important as an individual’s experiences and proven track record. Keep CEO succession as a standing board agenda item since it ensures a multi-layered, multi-generational process. CEO succession is an ongoing, “evergreen” process that continues, even immediately after the appointment of a new CEO. As potential leaders emerge from a few layers down, the board should be kept apprised of development plans so it can be assured that the organization’s future leadership needs can be met. Ensure that your talent management and development planning is linked to your longer-term business strategy. During both regular board meetings and at intensive off-sites, many companies now link strategy sessions and talent development sessions to ensure that any shifts in the strategy will inform what will be required of future leaders. Since an array of possible “futures” need to be planned for, corresponding different leadership profiles should be planned for as well.